Categories: History, Museums, New and Recent. Tags: archives, BC Archives, British Columbia, history, museums, Royal BC Museum. For more than 130 years, the Royal British Columbia Museum and Archives has preserved and presented the province. From the glass cases of 1886 to the always-on digital archives of the present day, The Collectors tells the story of the museum and archives, a story of continuity and change, of quirks and curiosities, and of the fascinating characters and enduring themes that have shaped one of British Columbia’s most distinguished institutions. 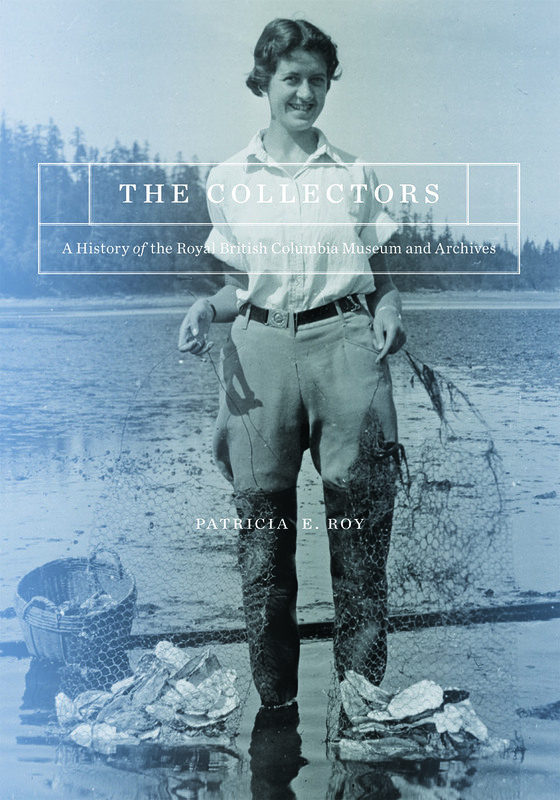 Patricia E. Roy is professor emeritus of history at the University of Victoria and a fellow of the Royal Society of Canada. She is the author of a biography of Richard McBride and three monographs of the response of British Columbians to Chinese and Japanese immigrants. She is also co-author, with John Herd Thompson, of a survey of British Columbia history.